I’m hosting a book spotlight today plus a giveaway. 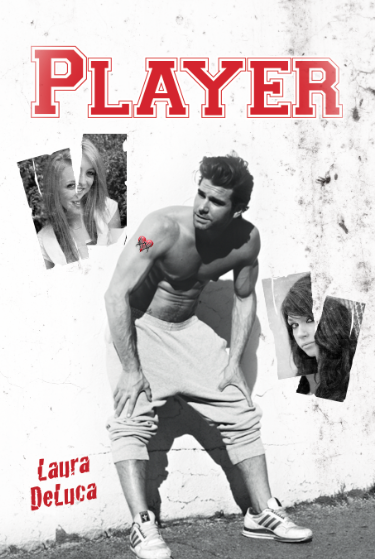 This time it’s for Laura DeLuca’s latest release, Player. Joshua Handover had it all. He was handsome, rich, athletic, and had always been popular with the ladies. Yet, until he gets paired up with his beautiful but shy lab partner, Rosa, he never allowed himself to fall in love. As the chemistry between them grows, Josh realizes that his player days have come to end. But it seems his change of heart has come too late. Not only is Rosa leery of his bad boy reputation, he has four vindictive ex-girlfriends who are on a rampage. At first he doesn’t take their threats seriously, but then his tires are slashed, someone tries to poison him, and one of the girls turns up dead. Josh doesn’t know who to trust, but one thing is certain. It definitely isn’t worth the price he’s paying to be a player. Someone else came over to offer Nadine their congratulations, so Josh said goodbye and went to his locker to get his backpack. He figured he would meet up with Andrea and Rosa in the parking lot. He fumbled with the combination before finally getting the door to swing open. Something glittered on the top shelf and caught his eye. He reached for it, and a small scrap of paper fluttered to the floor. At first he wasn’t sure what he was holding. It was a pink plastic tiara with some big gaudy plastic jewels. It was the type of thing he had seen in dollar stores for little girls’ birthday parties. It was practically broken in half, and the edges were sharp. Josh pricked his finger on the jagged point, and a few drops of blood welled from the small wound. He put his finger in his mouth as he bent to pick up the paper that had fallen. When he read it, the broken crown suddenly made sense and he wondered how he could have been so naïve. He should have realized from the instant he saw it what it meant. Now one of his girls is under the ground. Another has a big bump on her head. Laura “Luna” DeLuca lives at the beautiful Jersey shore with her husband and three children. She has been writing stories for as long as she can remember. Old high school friends would tell you she was always scratching in her notebook instead of paying attention in class and the children she used to babysit for always loved to hear her scary stories at bedtime. In addition to writing fiction, Laura is also the sole author of a popular review blog called New Age Mama. She is an active member of her local pagan community, and has been studying Wicca for close to eight years. She loves writing young adult novels, because it keeps her young at heart. She is the author of three published works including Destiny, Destiny Unveiled, and Phantom, and has several more projects in the works. Laura is giving away a print copy of Player during her Tour. For a chance to win just fill out the Rafflecopter Below. This is open to US residents only.